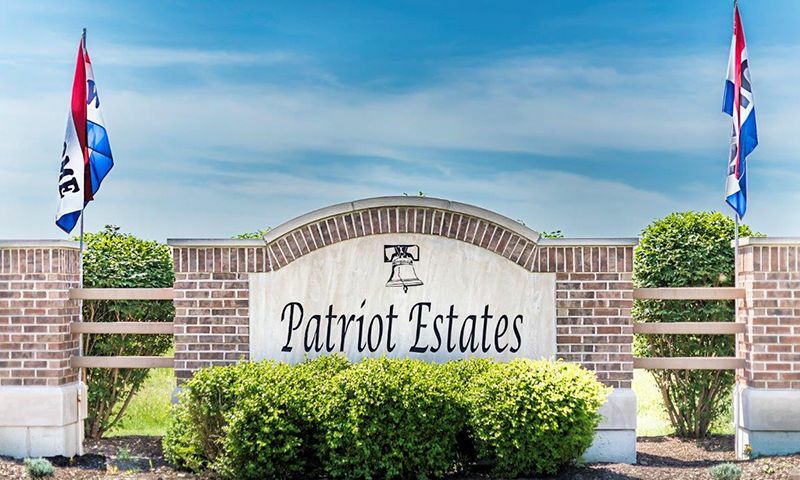 Patriot Estates is a quiet 55+ community in McHenry, Illinois. This active adult community offers ranch residences in two styles, attached duplexes, and single-family homes. Homebuyers can select a new or resale home nestled in charming McHenry County. Residents of Patriot Estates enjoy living their carefree lifestyles without having to worry about lawn care or snow removal. With an abundance of outdoor recreation near the Fox River and easy access to downtown Chicago's attractions, Patriot Estates enjoys plenty of big-city attractions in a small-town community setting. The homeowners' association yearly dues include a membership to Irish Prairie Health & Recreation Center. This recreation center makes it easy to stay fit and healthy with indoor and outdoor pools and an exercise room. Alongside neighbors who share the same interests and hobbies, residents can plan fun activities, classes, and clubs catered to their unique 55+ lifestyle. Cunat Inc. began construction of Patriot Estates in 2007. Upon the community s completion, Patriot Estates is planned to encompass 131 ranch homes spread throughout two neighborhoods. The Manors neighborhood will feature duplex homes when completed. These 1,400 square-foot homes offer two bedrooms, two bathrooms, and an attached two-car garage. Manors in the community are also maintenance free. The Residences neighborhood will feature single-family homes. These detached homes offer approximately 1,200 to 1,890 square feet of living space. There are five floor plans that feature two bedrooms, two bathrooms, and an attached two-car garage. The Lincoln and Washington floor plans include a den. Patriot Estates is situated at the corner of Bull Valley Road and Crystal Lake Road in McHenry, Illinois. Located 55 miles northwest from downtown Chicago, residents live within a drivable distance to big-city attractions. Public transportation to and from the Chicago metropolitan area is just five minutes away at the McHenry Metra Station. Residents of Patriot Estates are just 45 minutes away from one of the largest shopping centers in Illinois, Woodfield Mall. During the summer months, McHenry County is filled with opportunities for fishing, boating, and camping. With O Hare International Airport 41 miles away and Wisconsin an hour away, Patriot Estates enjoys a central location to attractions both nearby and far. With so much to offer, it's no wonder Patriot Estates is an enviable retirement destination for active adults. Check back soon for more information on the lifestyle in Patriot Estates. The Manors neighborhood consists of duplex homes. These attached ranch homes are offered in two floor plans that feature approximately 1,400 square feet of living space with two bedrooms, two bathrooms, and an attached two-car garage. Manors in the community are also maintenance free. The Residences offers ranch homes with basement options. These single-family residences offer approximately 1,200 to 1,890 square feet of living space. There are five floor plans that feature two bedrooms, two bathrooms, and an attached two-car garage. The Lincoln and Washington floor plans include a den. 55places.com is not affiliated with the developer(s) or homeowners association of Patriot Estates. The information you submit is distributed to a 55places.com Partner Agent, who is a licensed real estate agent. The information regarding Patriot Estates has not been verified or approved by the developer or homeowners association. Please verify all information prior to purchasing. 55places.com is not responsible for any errors regarding the information displayed on this website.